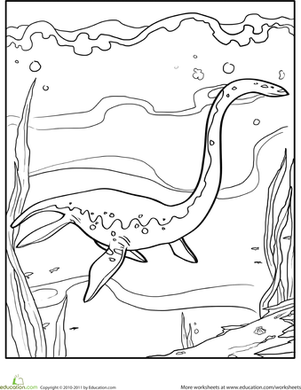 Print out this coloring page to teach your child about a unique creature, the Elasmosaurus. The Elasmosaurus was an underwater dinosaur with a very long neck. Dinosaur-lovers and ocean-lovers alike are sure to enjoy giving color to this prehistoric scene. 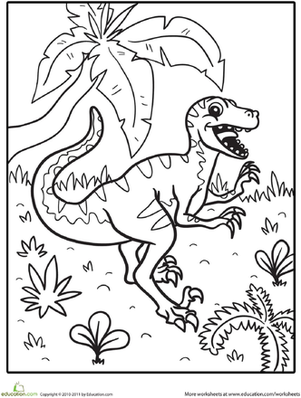 Featuring a cute little dinosaur prancing along, happy as can be, this coloring page is full of charm. 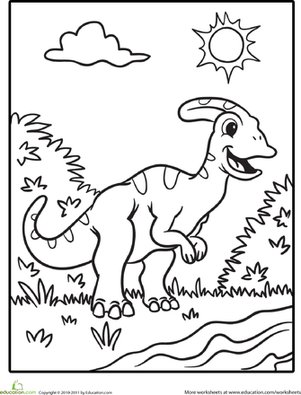 The happy dinosaur on this coloring page is guaranteed to bring a smile to your child's face, and it'll give him some great fine motor practice to boot. 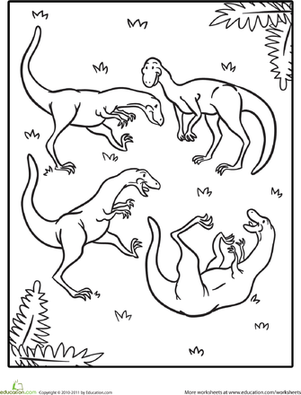 This color by number coloring page enters the world of dinosaurs and prehistoric earth. Bring the page to life one number and color at a time! 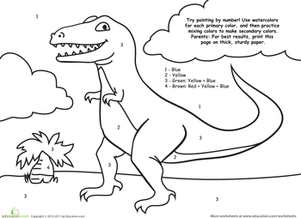 Color a pirate dinosaur with your first mate! This pack of cute dinosaur pals is having a great time romping in the grass. Your child will have a great time, too, as he colors in this happy scene. 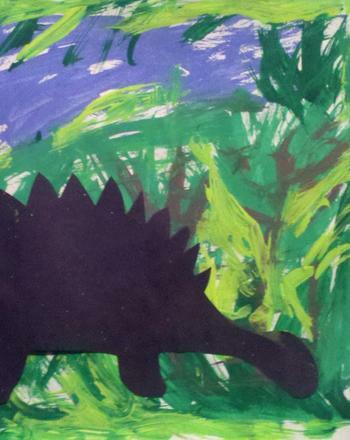 This dinosaur scene is in the need of some color--watercolor that is! As your child paints, she'll practice color mixing and boost number recognition, too. Your little dinosaur lover will practice counting by completing this dot-to-dot dinosaur's outline and color the xenoceratops using his favorite colors. 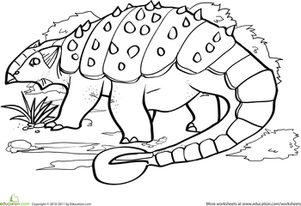 Your little dinosaur lover will practice counting by completing this dot-to-dot dinosaur's outline and color the triceratops using his favorite colors. 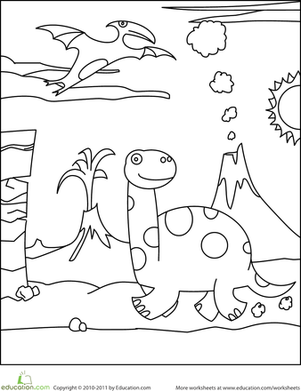 This simple picture, featuring a Hadrosaur, is tons of fun to color, and it's a great way to bring your child back to prehistoric times.